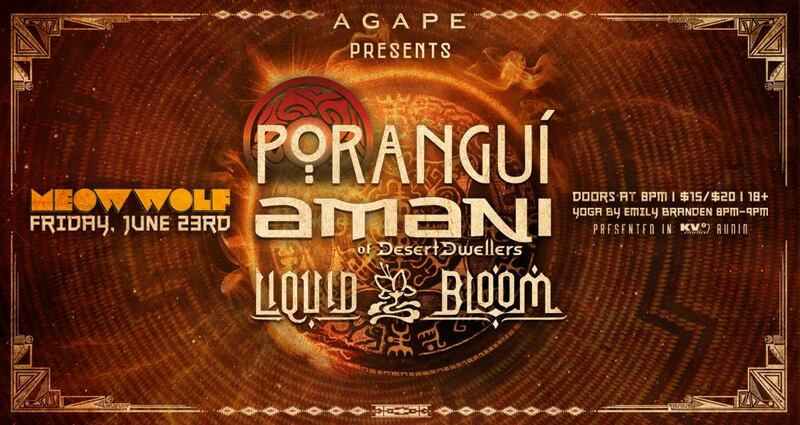 on June 3rd Amani & Porangui headed down to Santa Fe New Mexico to play their first Liquid Bloom live set together, at the infamous Meow Wolf venue. The evening started with a yoga class led by Emily Branden with AMANI playing Desert Dwellers music. Following the yoga, Amani was joined by Porangui for their first Liquid Bloom live set, and they kicked it up a notch and played a lot of the new material they have been working on in the studio all winter and spring. Pornagui then offered his impressive one man looping set after that, and then the evening raged on with a full dance set by AMANI with live percussion from Porangui. The alchemy was thick all night with creative explosions and it was definitely one to remember for the Santa Fe community … and a precursor of what is to come from these two! 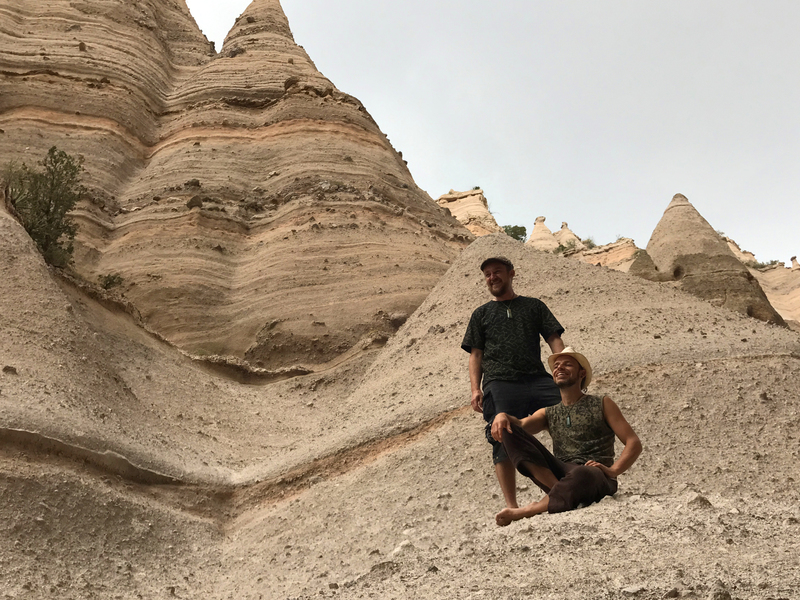 the next day they headed over to the amazing Tent Rocks in NM for a Liquid Bloom photo shoot. Next up for Liquid Bloom live is the Oregon Solar eclipse festival and they have some special things planned for that set! !